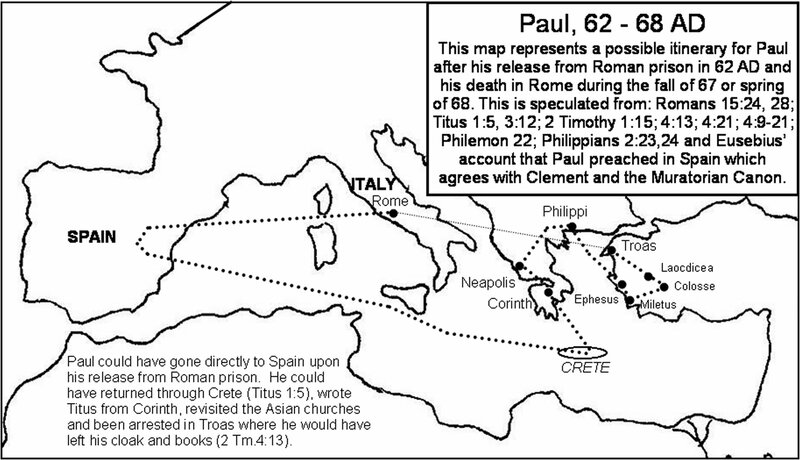 Possible route of Paul’s 4th missionary journey (map by Galyn Wiemers, www.generationword.com). CHURCH LEADERSHIP and proper behavior for Christians is the focus of Paul’s letters that we study this week. Timothy had been left in charge of the church Ephesus, while Titus had been left on the island of Crete to shepherd the new church there. Both Timothy and Titus faced challenges; Timothy was a young man charged with guiding older men and women, while Titus worked in a place notorious for its lack of moral integrity (“to Cretanize” was a term in the ancient world that meant to lie). Join us in Dallas March 31-April 2 for the Hear the Watchmen conference, God’s Great Gathering! Click here for information and to register. Save $20 with the promo code SKYWATCH! Thank you for another great study!